Does anyone have any pics of the ROTJ saber hook? I’d like to get a definitive answer once and for all. Behind the scenes pics are probably best. I’ve been through every pic on starwarsscreencaps and can’t get an absolute answer. 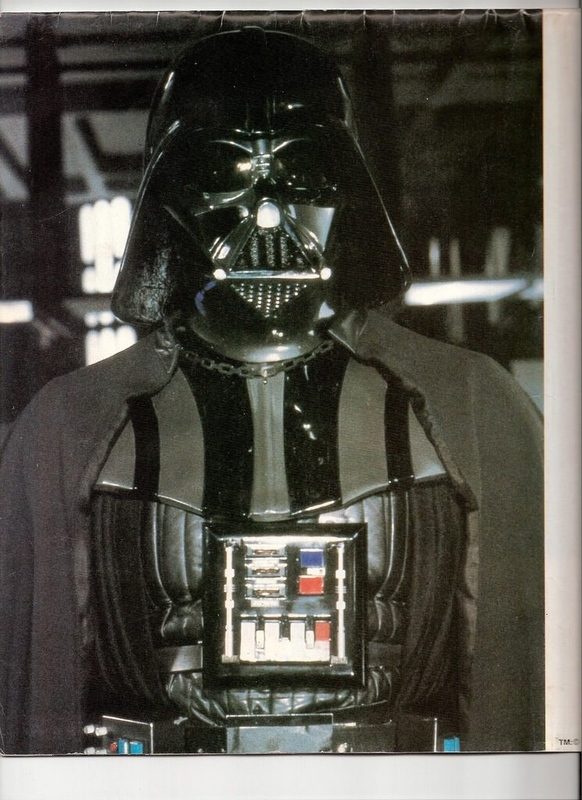 The costumes book has a pic in it that claims it’s an ROTJ screen used belt. BUT that belt does not have the Chicago Screw next to the buckle. And the belt doesn’t have any damage where the Chicago screw might have been. If it was screen used, it certainly wasn’t a hero belt. Thanks for any help finally putting this issue to bed. Here’s what I have so far. I hope these images post. That’s the entire belt from the book. But no damage where the screw should be. It's possible the whole buckle is covering the screw completely in the photo. Really take a look at the shot where Vader is walking up the stairs and after Luke gives him a nasty blow. That whole side of the belt is exposed. If it was silver color we would know it for sure. That is why I painted mine black. Look closely and you could see light reflecting off it suggesting it to be mounted on the outside. If it wasn't black then Vader is using the force to hold it near his hip. I agree 100% it should be black, but besides that photo, there aren’t any pics of it. Here is a closeup if the stair scene in ROTJ. This leads me to believe it’s a black hook, as on the costumes belt, but still nothing definitive. THXboy at SLD has been shown a pic from LFL of the hook on the belt for one of the pick up shots. The one with the closeup of Luke’s lightsaber. While, technically, it’s a screen used belt, it’s not a belt Prowse ever wore. The buckle is wrong, the boxes are on the wrong sides. It was a pick up shot. He also says the saber hook on that belt is nothing like the saber hook in the costumes book. But it was painted black I guess. Any pics of the Prowse hero belt and hook are greatly appreciated and will finally put this to rest after 35+ years. 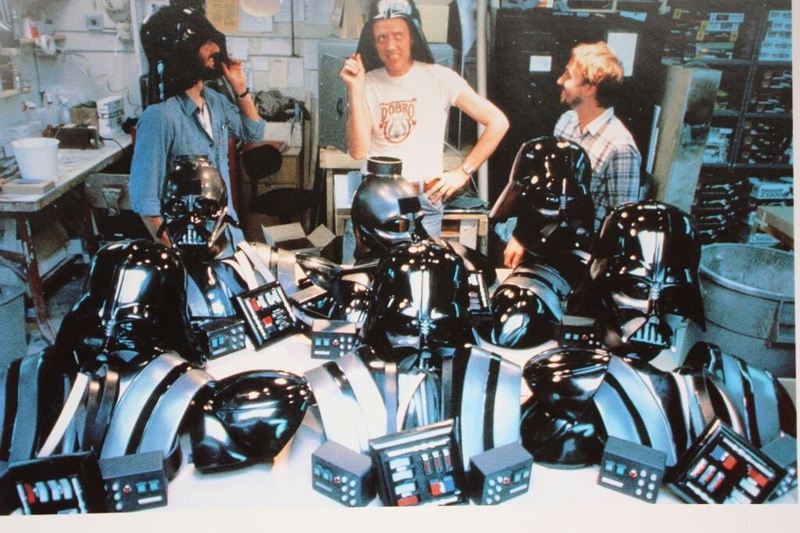 The belt boxes are certainly rotj screen used in that picture. Look at the shape of the green squares and they even have the 2 different shades of the green lenses like in the film. Compare and you will see it. As pointed out above, there’s no Chicago screw/rivet to the right of the buckle. Nor evidence there ever was. Every Prowse/hero belt had the Chicago screw. Looking at the distance to the box, there’s no way that buckle could be covering it. It’s too big. 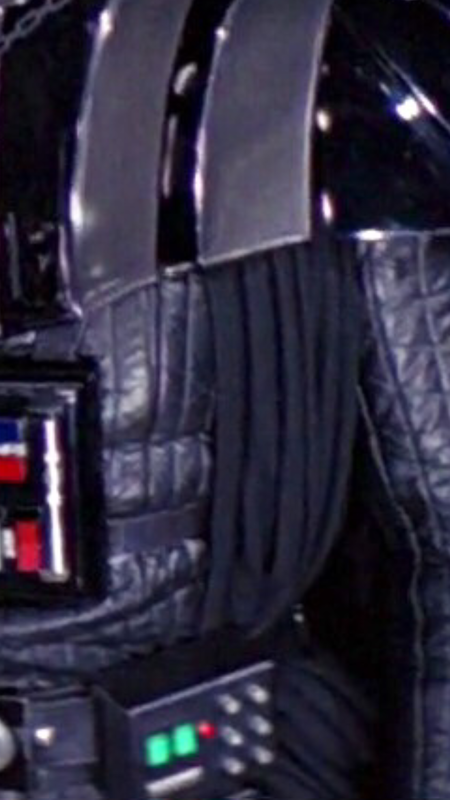 It’s not like the small under-buckle rivets in ESB. I’d love to believe the belt in the costumes book was the Prowse belt. I truly would. But without the Chicago screw, or evidence the screw was on that belt at some point, I’m not buying it. On every straight-on photo of Prowse, and that photo of the belt is taken flat/straight-on, the entire Chicago screw is visible. It doesn’t peek behind the buckle and, in many pics, we can see leather between the screw and the (picture) right edge of the buckle. Thanks for the help in bringing the truth to light. 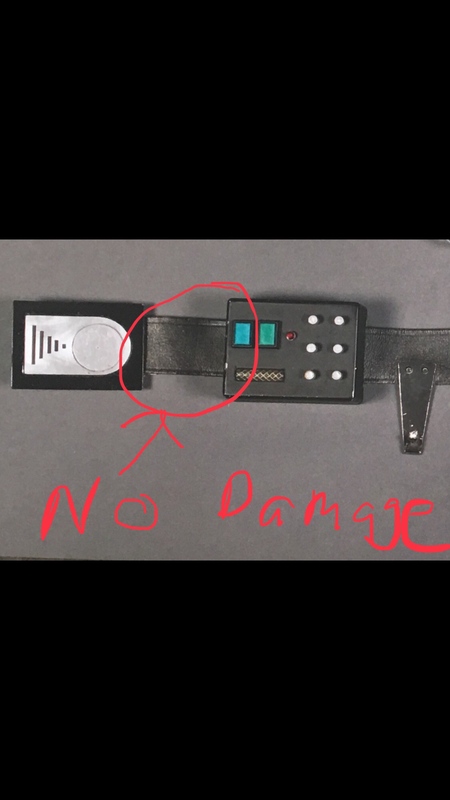 Just because the screw isn't there does not automatically rule it out as a screen belt. Like I said the buckle could be covering it. Look at the placement of the incised lines and compare. The top one is further down. And the off set color of the green lenses can be seen to. I'll make sure comparison later. Here is a quick comparision. Look at the placement of the incised lines and the difference in shade and shape(tour belts are square while the screen are rectangular) of the green squares. Since the extra bit was added on for touring it's possible the belt was cut to fit the tour guy. Here is a buckle comparision. Where did JSmails go? Let's keep this discussion alive!